i came to the makerspace earlier than usual today. i figured that being around creative people would inspire me. an hour later i got a call from my mechanic & found out my jeep repairs are going to cost 3x more than the original estimate. 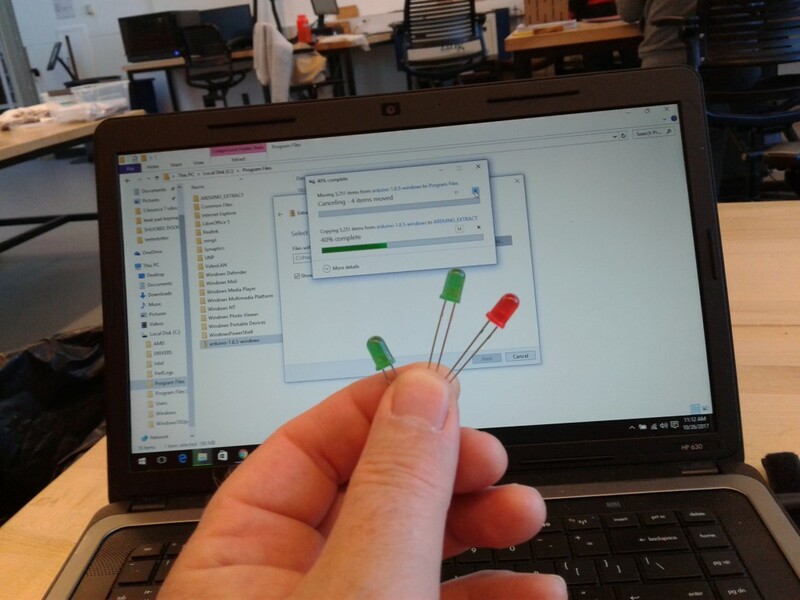 i didn’t need to stew about the high cost of daily transportation, i needed some kind of diversion… so i decided to program an arduino board, and focus my energies on making these colored lights blink. maybe expanding my mind in this way will provide a little consolation. right now i’m just waiting for the software to download. ***3 hours after the paragraph above was typed, i accomplished this! the leaves are finally falling & i’m almost halfway through my fall residency at the central resource library. 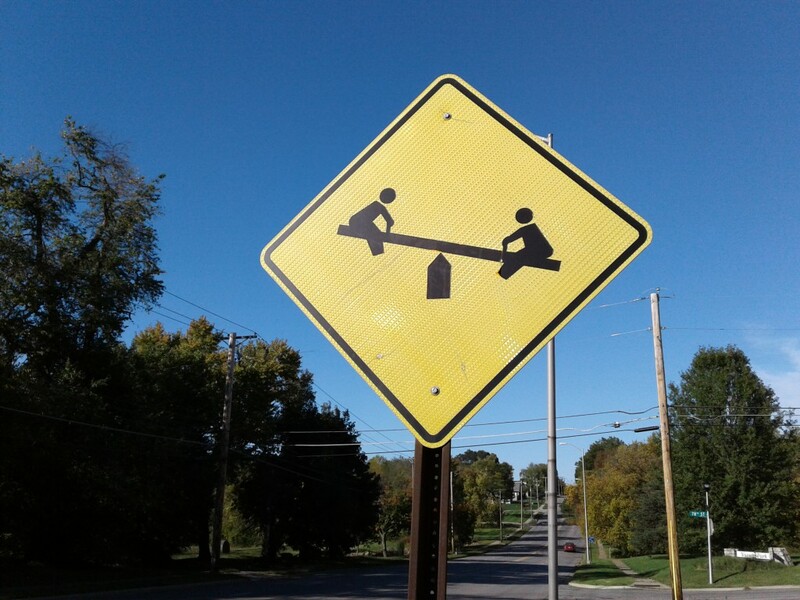 the next thing on my agenda will be hosting a teeter totter workshop at the makerspace. some people have asked me “how are you gonna do that?” my answer is “i don’t know.” honestly, this will be a group effort. i’m gonna pick a few brains & get some direction… speaking of which, i’ve driven past this sign on antioch over 700 times in the last 10 years alone– yeah, i did the math. i never really noticed it until i started my teeter totter project. 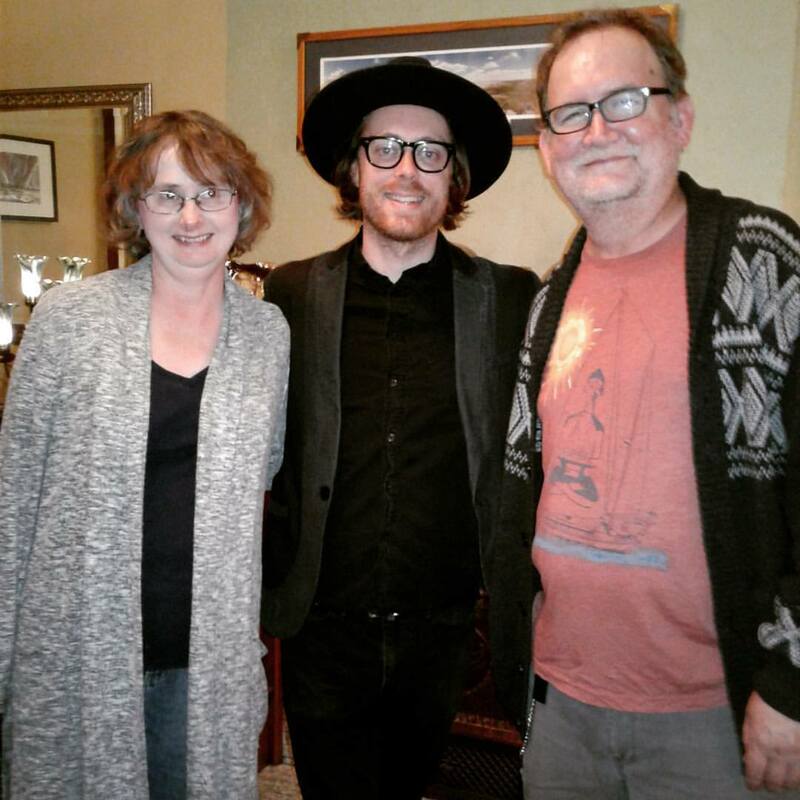 jenny & i drove to westport tuesday night to be part of a supper club tour that jeremy messersmith played from omaha to eau claire this week. when i asked if we could have our picture taken w/him, he said “sure!” and held out his arms so we could be on either side. it was a potluck dinner/house concert so everyone that bought tickets also brought a couple of dishes to eat. here’s a few seconds that a friend recorded of our experience that night. 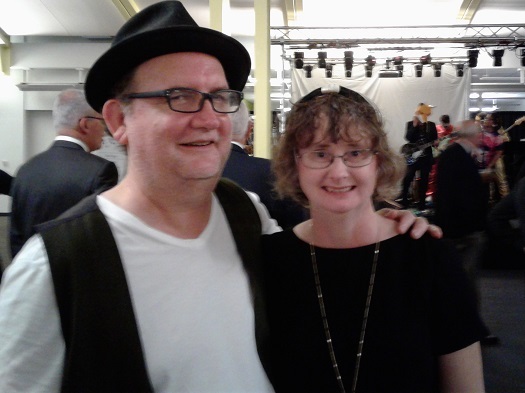 last saturday the library let loose with a big fundraiser. 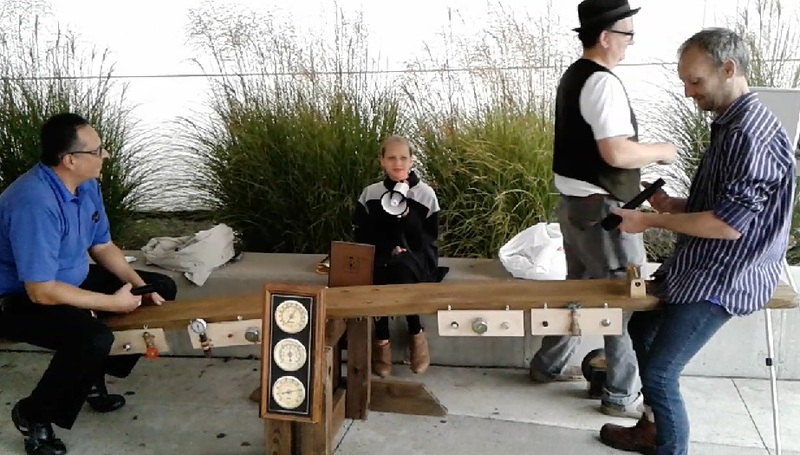 people got dressed up, and the talk and listen teeter totter was the first thing they saw at the main entrance. some attendees were curious and asked about it, but most of them were in a hurry to get inside when it started storming. ross and kitch were excellent teeter totter riders. 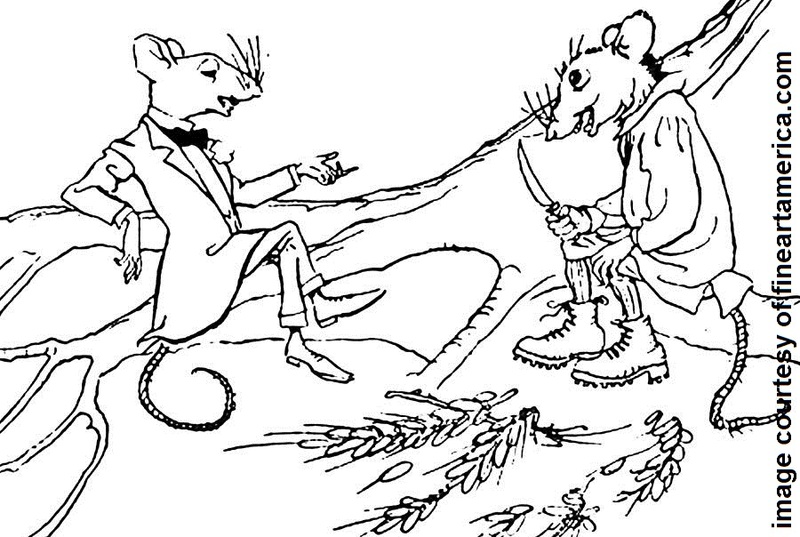 they had wireless microphones & took turns asking weird questions and giving weirder answers. ross’ daughter grace even helped moderate with a bullhorn. there were many cool things to experience that night like drinking cold brew from an electric coffee car, and listening to great music, but the best part was sharing it all with jenny! 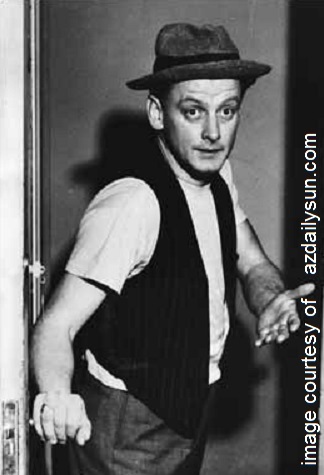 she didn’t even mind that i sorta looked like art carney. molly posted this on facebook last night. it was her birthday (happy belated! ), so naturally she fed fernando a smoked salmon roll. 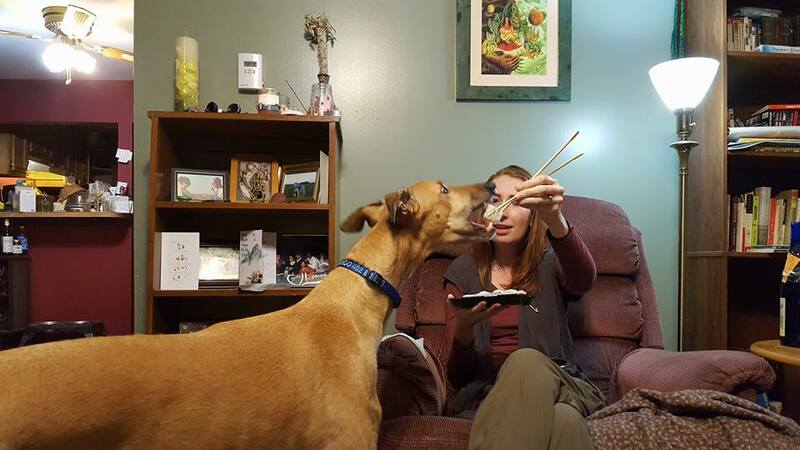 when i commented on how funny this was, she replied “i mean, it’s not like he has opposable thumbs with which to use the chopsticks himself….” i love you molly. My reflexes weren’t fast so I stopped and I bathed. I can see why Mrs. Carlo doesn’t let you cook much. Personally, I like to burn the remains of dead animals overall fiery hot coals until these remains are as charred as the coals themselves. Mrs. Skeeter does not let me cook much either. I just killed four fat flies… is it autumn already? I just saw four fat women in spaghetti straps and low rider jeans, blobs oozing everywhere … unfortunately, it is still summer. …had this been an actual emergency you would have been instructed to seek shelter, loot stores, and pack heat. Packing heat is cool unless someone else is packing heat while you’re packing heat which can really heat things up until one of you ends up cold. i did some shopping at westlake before going to the makerspace today. they had brackets and screws. 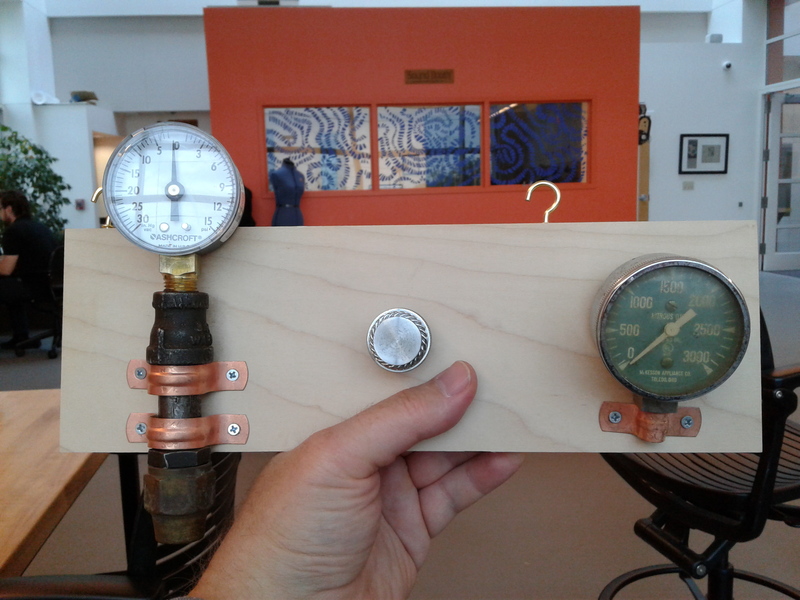 the makerspace had screwdrivers and a glue gun so i could stick gauges and knobs on wood panels. i’m going to hang them on the side of a big teeter totter a week from saturday. more details can be found on days at the makerspace. the pontiac is a short spoken track from a 3-CD set that tom waits released 11 years ago. it feels more familiar than a gas pedal under my right foot. so click here, close your eyes, and just like me you’ll be sitting with someone’s dad in a greasy spoon near a bus stop on memory lane.